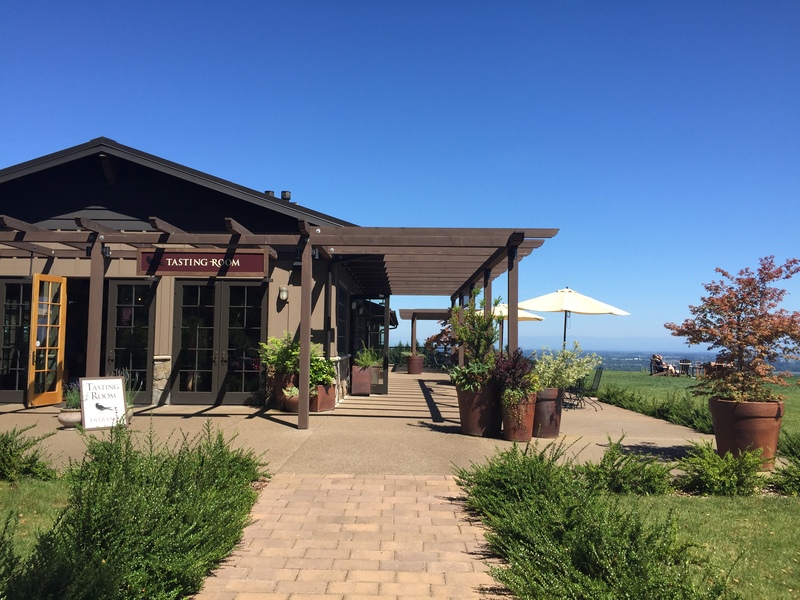 If you’re like me and embark on a day of wine tasting without the forethought to pack a picnic lunch, I highly recommend paying a visit to Durant Vineyards. 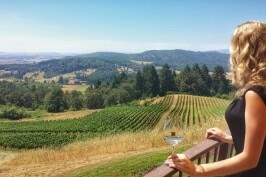 In addition to being one of the only vineyards in Dundee Hills that serves food (priorities), Durant Vineyards offers guests spectacular views of the Willamette Valley from the large patio, as well as a friendly staff and a spacious tasting room. The grounds are beautiful and visitors wiser than I, who do remember to bring food, can enjoy a picnic on the large lawn while taking in views of Mount Hood and the Dundee Hills. Wine: Durant Vineyards offers a good variety of wine at a reasonable price. 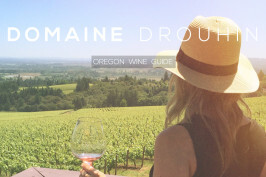 What’s interesting about Durant Vineyards is that each wine is made by a different person, in an effort to match the different blocks of fruit with different wine makers. The flight included 2 whites (a Chardonnay and a Pinot Gris) and 3 reds (Pinot Noirs). The Pinot Gris ($18) was a crowd pleaser. It’s light, crisp and a perfect summer sipper. I also enjoyed the 2013 Lark Chardonnay and ended up taking home a bottle. Price: Bottles run about $18 – $60. There is a $10 tasting fee, which is waived with the purchase of 2 or more bottles. 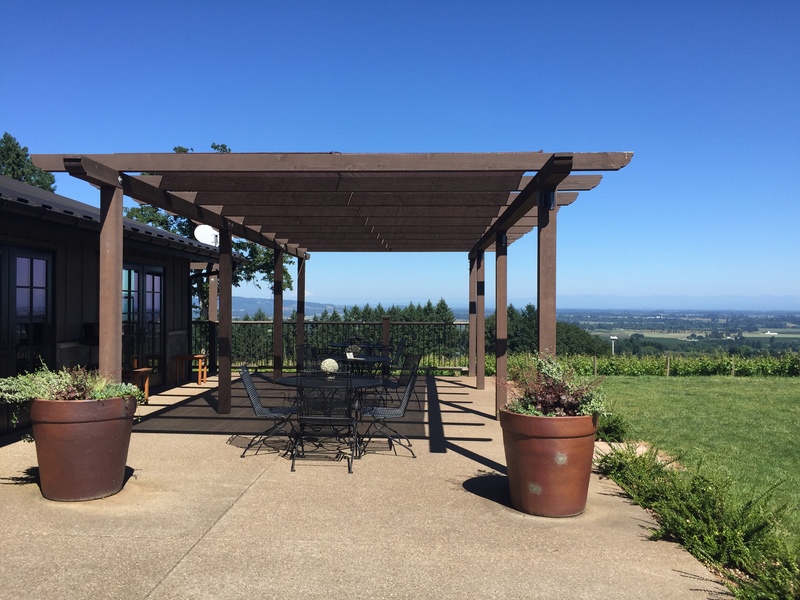 Patio: The patio is large and includes several tables shaded by umbrellas, as well as spectacular views of the Willamette Valley. 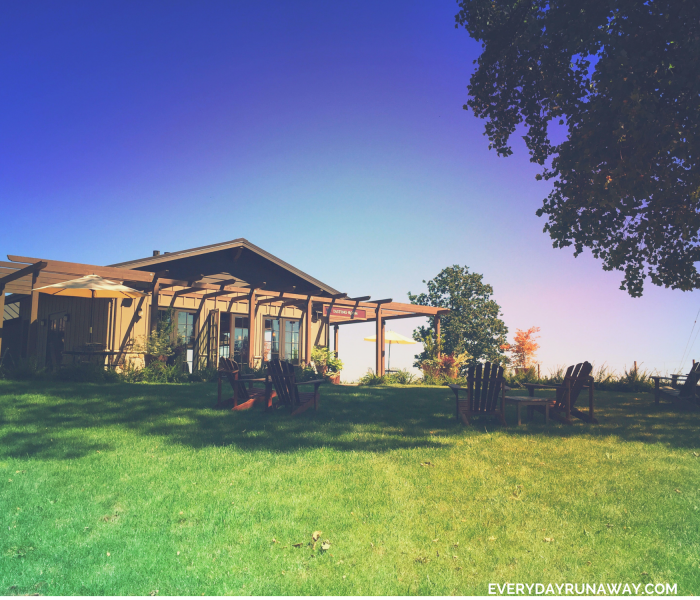 For additional outdoor seating, Durant Vineyards is also surrounded by 2 large lawns on which visitors can enjoy a picnic or relax in one of several lawn chairs. 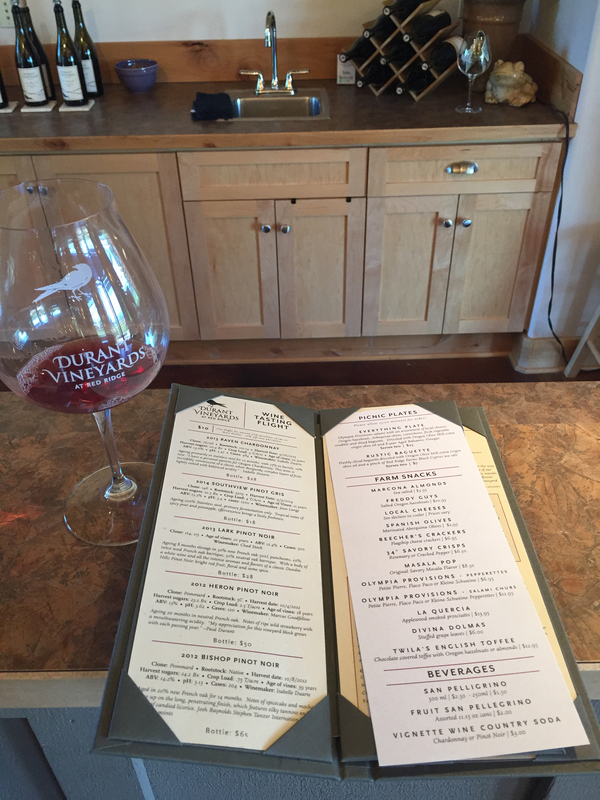 Extras Worth Mentioning: In addition to serving cheese, crackers, fruit plates, bread and olive oil, Red Ridge Farms (where Durant Vineyards is located) also grows olives and makes olive oil. You can venture next door to the Red Ridge Farms store for an olive oil tasting, or purchase additional food (try the sandwiches) or gifts. Parties of 8 or more are suggested to make a reservation. 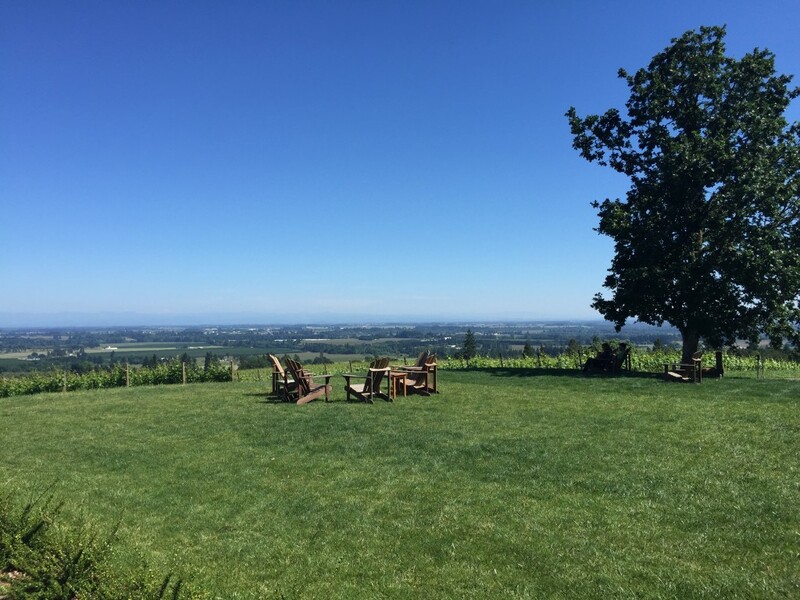 Summary: If you are heading to the Dundee area and want a view, experience and great wines, Durant is a must visit! 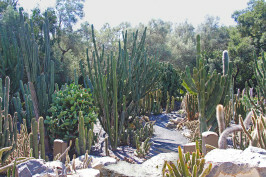 The scenery is stunning and the grounds offer plenty of outdoor seating. The wine is very good and reasonably priced. The overall experience of this vineyard was the best of the day.